Though life gets busy and there’s often an inclination to put things off when it comes to landscaping at your Ashburn, Aldie, or Leesburg, VA home, it’s just not worth damaging the value of your property by slacking on important services. That’s why we’ve put together some fall landscaping tips to help guide you on which services really do need to be performed prior to winter. There are a lot of fall landscaping services that are important to perform in order to not only keep your landscape looking neat and tidy but to also protect its overall value. Let’s walk through a list of each service that would be considered part of fall landscaping cleanup and discuss why you shouldn’t put it off. 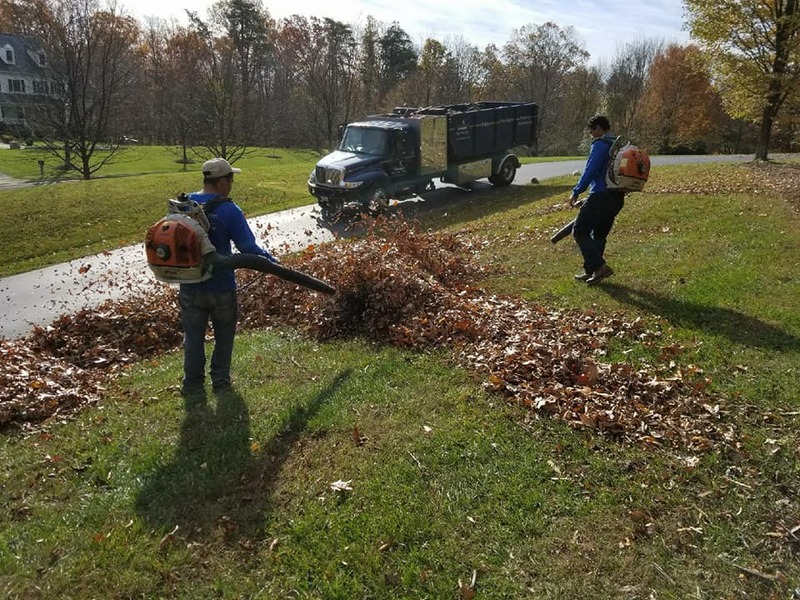 Whether you perform this task yourself or leave it to the professionals, making sure that all of the leaves on your property are picked up is a key aspect of fall landscaping cleanup. There are a couple of key reasons that you might consider having leaves professionally dealt with. For one, clearing leaves is often a lot more time consuming than most people think. When you only have so much free time on your weekends, chances are, you don’t want to spend it cleaning leaves. Another key reason is that bagging them all up or hauling them of your property can be a hassle. When a professional handles this service, you don’t have to worry about that. Fallen leaves that are not removed create the ideal habitat for rodents, ticks, and other pests to take up residence on your property. This is especially concerning near the foundation of your home where these critters may try to get inside. 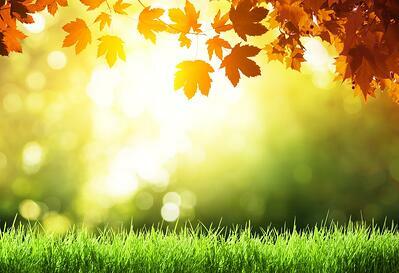 Fallen leaves can cause problems for your grass. Areas that are left matted under heavy leaf cover can begin to die. If you’re having aeration and overseeding performed on your lawn leaves left in the way are going to make it difficult for new grass to grow. Another important fall landscaping cleanup service is the trimming of your perennials and ornamental grasses, which are going to start to brown as the winter approaches. They’ll survive underground, but the material above ground can be cut back. There are a few reasons why this service is best performed now. Fall cutbacks help your grasses and perennials to look better once spring does roll around. It’s quite common for homeowners to forget to trim these plants back in early spring. But trimming off the dead material in the fall means that the new spring growth can emerge without you having to worry about plucking out each dead stem later, which also takes more time. Ornamental grasses, in particular, can get really messy as snow starts piling on top of them. After even one heavy snowfall they can get completely matted down and still be a total mess come spring. They should be trimmed down prior to winter weather in order to help keep them looking their best. 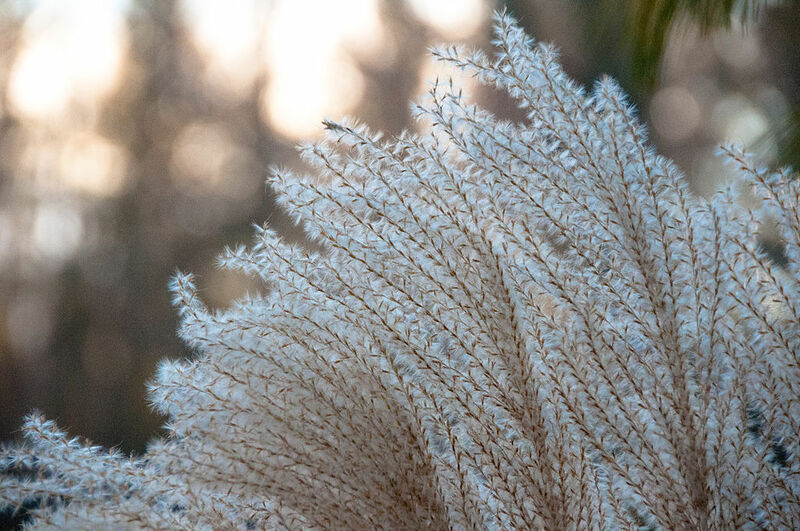 When not trimmed down, ornamental grasses also have a tendency to break off and blow around in winter winds. This means that even if you’ve cleaned up all your leaves, you could have long grass blades blowing around on your property. Pruning your trees and shrubs may also be an important part of your fall landscaping cleanup process. Of course, it’s important that your trees and shrubs are pruned properly (and at the right time). Pruning a spring-flowering shrub too late into the fall could actually impact its ability to bloom. A professional can assess your property and determine which trees and shrubs need to be pruned and when is best to perform those services. The big concern with putting off pruning is that it’s going to make your landscape look messy and that’s going to cause it to lose value. One thing that often happens when homeowners put off pruning is that by the time they call in a professional, it needs so much work that it looks more “butchered” than it does maintained. To bring a completely overgrown tree back under control, it’s going to require a lot of cutting and chances are you may not like how it looks. However, if you’d had kept up with regular pruning, your tree would be able to maintain a beautiful shape and good health. That latter point is important as trimming can be stressful for a tree. When you only have it performed once a year and many cuts are needed, it can really put a lot of stress on your tree’s health. Though a lot of homeowners think of mulching in terms of a spring task, fall is also a great time for mulching. It will give your landscape a clean, fresh look. 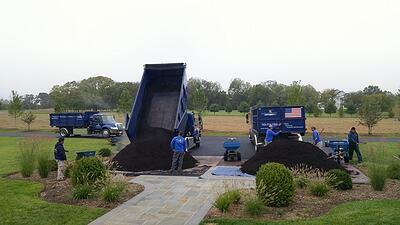 But there are other important reasons to add mulch to your fall landscaping checklist. 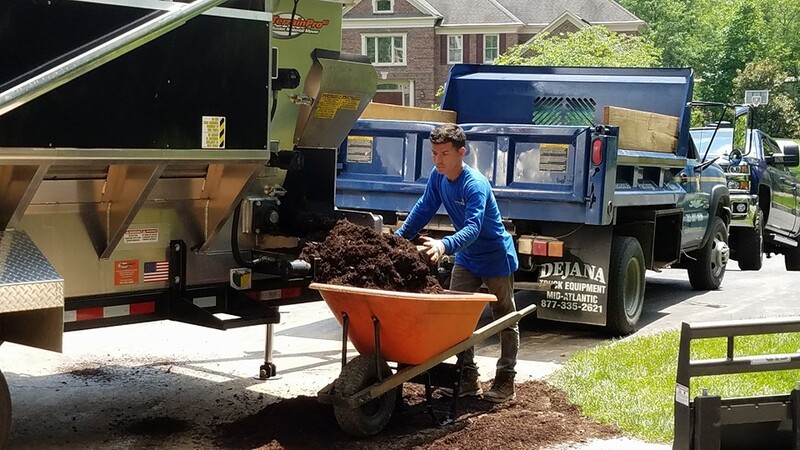 Mulching is one of those services that some homeowners ask to leave off of their fall cleanup task list—and that can be done. It doesn’t have to be part of the fall cleanup program. However, there are a few key reasons why you should probably not put it off. Mulch adds a layer of protection. It helps to insulate the root systems of your trees and shrubs and keep the temperature warmer by acting as a barrier once the air temperature drops. Mulch can also help keep winter weeds at bay. A lot of homeowners forget that weeds don’t just pop up in spring—they can be a problem starting in the winter, too. But a nice layer of mulch can help deter them. All of the landscaping services mentioned on our fall landscaping checklist are valuable in helping keep your property looking its very best. The truth is, by keeping up with regular maintenance, you are protecting the overall investment in your landscape. Unfortunately, we often get calls for “urgent” or “emergency” cleanup services after a property has been let go for a long time and truly looks its worst. Homeowners who ignored fall cleanup services suddenly realize that their property is a complete mess come spring and want a professional out there right away to get it back into shape. At that point, it’s a much bigger (and more costly) project. It’s best for the overall value and appearance of your landscape to keep up with regular maintenance. Ensuring that you’re keeping up with landscape maintenance means finding the right company for the job. 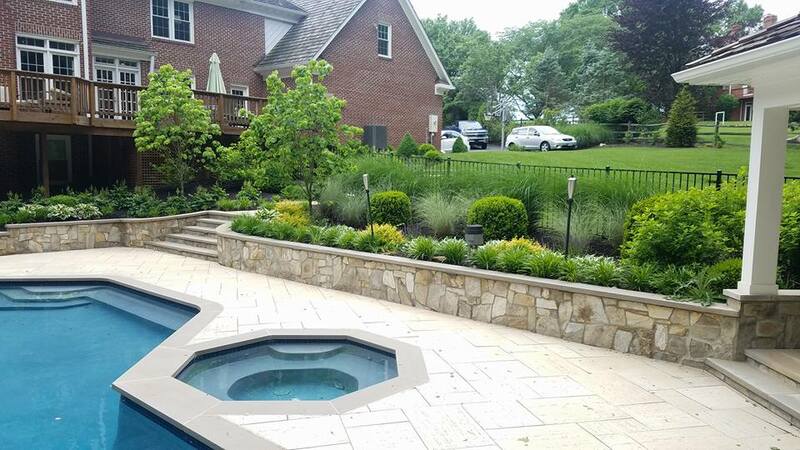 A key benefit to hiring a knowledgeable and skilled landscape professional is that they will know what services are most important for your landscape and when they should be performed. 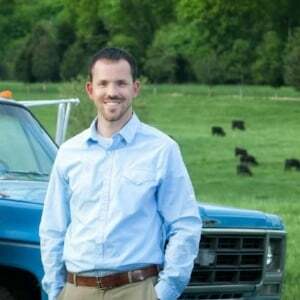 At Rock Water Farm, you have a lot of options when it comes to keeping your property looking its best. Fall cleanup can be performed as a one-time service or rolled into a pre-planned, year-round strategy. 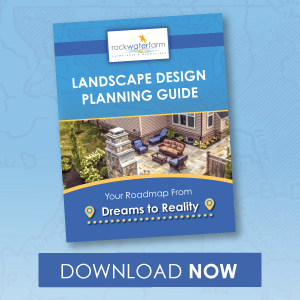 As we mentioned, ongoing maintenance can ultimately save you money by keeping your landscape in good shape, but we can work with your needs to determine what is right for you. By handing these tasks over to a pro, you’ll free up your time while also gaining the peace of mind that you’ve invested in keeping your landscape looking its best. If you’d like to discuss landscape maintenance services for your Ashburn, Aldie, or Leesburg, VA home, talk to an expert, choose a solution that rocks, and then get ready to see your property looking its best.